Allied Mineral Products is among the fastest-growing global refractory companies. Headquartered in Columbus, Ohio, the company was founded in 1961 and is a world leader in the design and manufacture of monolithic refractories and precast refractory shapes. We have a strong presence in the foundry, aluminum, steel and industrial markets worldwide, selling over 1,400 products in more than 100 countries. Our sales are supported by 12 manufacturing facilities in 7 countries, with representatives located in more than 20 countries. We seek skilled, driven individuals eager to join our team and help us provide the highest quality refractory products in the world. 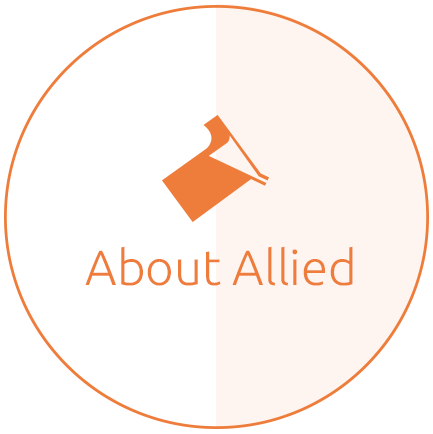 Allied offers stimulating career opportunities at our corporate office, research and technology centers, manufacturing facilities and sales and service locations around the world. Allied is an Employee Stock Ownership Plan (ESOP) company. This means that the company is owned by the employees. We take this seriously and invite hardworking, dedicated individuals to join us not as employees, but as employee owners. Our comprehensive benefits package for eligible employees includes medical, dental and vision healthcare plans; company stock; a 401(k) plan; disability and life insurance; profit sharing; and paid vacations. We are an Equal Opportunity Employer. Allied’s strong company culture is built around teamwork and a passion for “being there” for our customers. Our people come from all around the world with a variety of backgrounds, experience and education. Diverse skills and personalities drive our success. For a second year in a row, corporate Allied has been nominated as one of the best employers in Ohio. Thank you to everyone that made this possible!